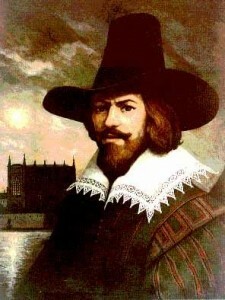 Service Integration: Guy Fawkes fireworks or damp squib? Euan Davis, Managing Director of HfS Research's European Practice, lives in the UK, and has the pleasure of celebrating Guy Fawkes' Night ever year, where they burn an effigy of the man who tried to blow-up Parliament in true paganist style... accompanied by fireworks. Curious, as I'm sure anyone who tries to blow-up Congress would likely be hero-worshiped stateside, or asked to join the Tea Party or something.... anyway, it's as close as the Brits ever get to Disney. Unfortunately the executive in charge of shared services at Centrica wasn’t able to attend so we didn’t get to hear how the company managed its many IT suppliers and IT contracts and connected them to its overall business performance. There is a great story here at Centrica I suspect as I’ve heard rumblings of multisourcing and systematic deal-making over there for some time and I know of several other energy and utility firms investigating systematic multisourcing models. What we did hear last night was PA Consulting outline its new service line focused on Service Integration and Optimization—it’s in the right direction but I am curious to see how this works in practice and if they can actually sell it. They made the point that it's the dynamic people that pull the levers around service integration who really make it work. But my thinking is they need a structure within which they can operate. So key questions I want to ask is around ownership: who owns the contract? Who owns the overall program management? Who owns the interface to the internal stakeholders? Where do the red lines sit between a customer and its service integrator? I do foresee demand for specialized “service integrators” growing and not only for running and enhancing an existing set of contracts, but also for setting the terms of play with an ecosystem of providers. These best of breed providers will stretch between business processes, applications and infrastructure and pull together around clear business outcomes—see my thoughts on CSC’s position here. The question in my mind is would firms like Centrica want to do this role themselves or are they rethinking how some of the red-lines fall between their internal governance teams and an external service integrator because there simply not enough dynamic people to do it. Are they really prepared to let the fireworks off, rethink their sourcing models and use best in class service management to couple service delivery to business outcomes, drive cross provider innovations to improve processes and reduce cost? I can’t wait to find out.